Waterjet cutting | Metal Web | UK metals stockholder and processor. 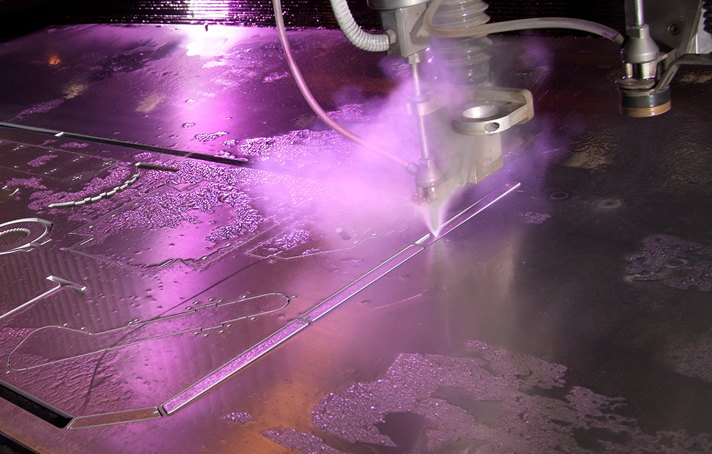 For specialist and complex shapes metalweb operate one of the largest Waterjet cutting machines in the UK. We have in-house CAD CAM expertise and fully trained technicians providing you with a professional service. metalweb can offer the closest tolerances available in the UK on the largest sized material. With an extensive range of metals already in-stock our Waterjet operation offers you leading edge service and quality. In addition, metalweb has in stock a large range of metals, including aluminium, steels, titanium, nickel alloys and copper alloys.This means that unlike many other Waterjet operators we can provide you further reductions in time and costs by not having to source material from elsewhere. metalweb are therefore uniquely placed in the UK to offer precision cut aluminium parts.